Now Baby Lady loves Lidia’s Bastianich. She loves her cookbooks, her cooking show and her flagship restaurant, Felidia. When her TV show is on, we faithfully watch. Her show had not been on PBS for a while but returned the beginning of January. It was while we were watching Lidia’s Italy in America that she made this dish. It looked and sounded very intriguing. First, it’s baked, not fried. Second, it includes zucchini and eggplant. Now I love eggplant parmesan. It’s one of my favorite dishes. It is a versatile dish that reheats great as a left over. 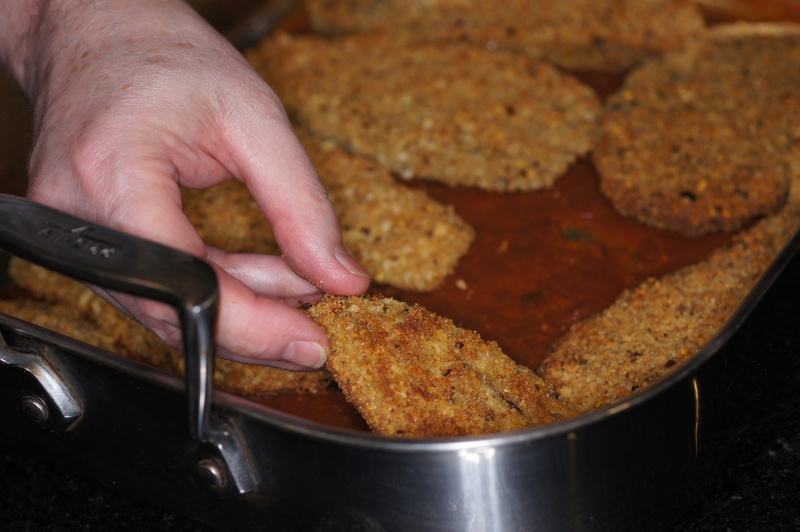 We don’t cook it because we don’t fry a lot of foods and traditional eggplant parmesan uses fried eggplant paddles. 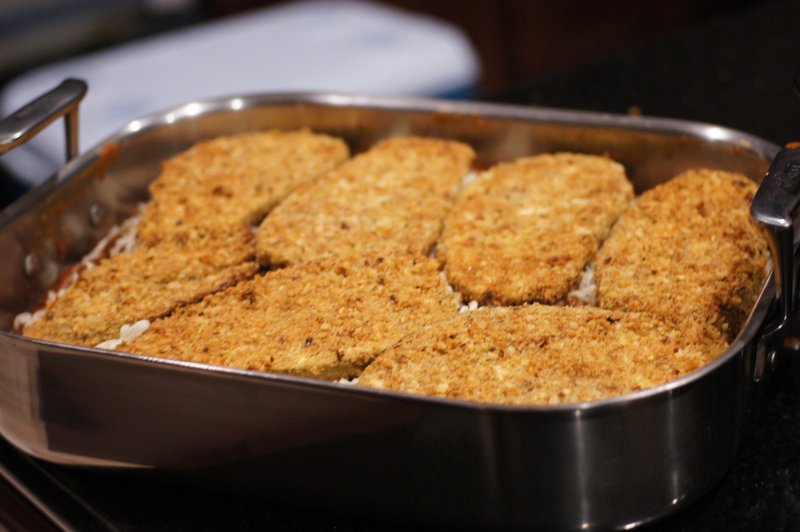 I’m also not overly fond of baking crusted dishes as a substitute for frying. Nevertheless, the manner in which she made the crust was different and piqued my curiosity. We had to give it a try so we did, with our modifications, of course. The net out was this unbelievably delicious meal. You have no excuse not to try this dish. You will like it. You must be warned, however, that this is not a quick meal so I would definitely reserve this for a weekend project to feed the family or entertain friends. Salt eggplants all over with 1 tablespoon kosher salt. Layer in a large colander set in the sink. Lay a plate over the eggplant and weight the top with cans to help press out excess liquid. Let drain about ½ hour, then rinse and pat dry. 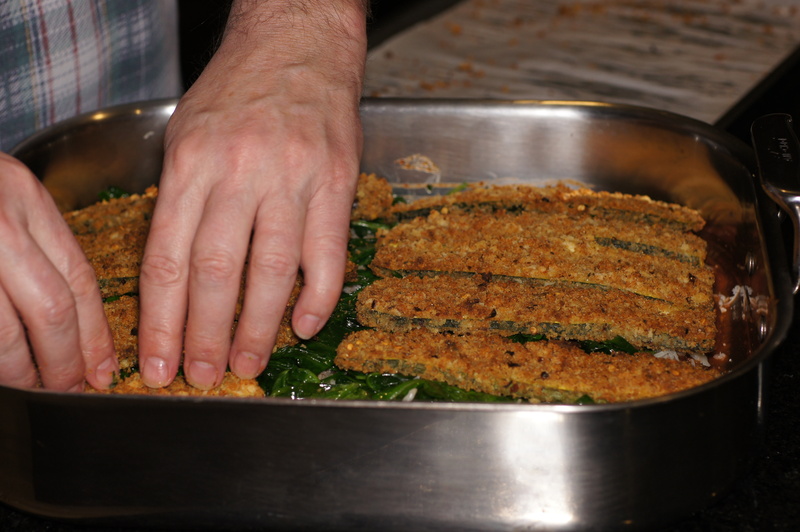 In a large vessel, toss together the breadcrumbs, panko, 2 cups parmesan, seasonings and olive oil. Mix together. 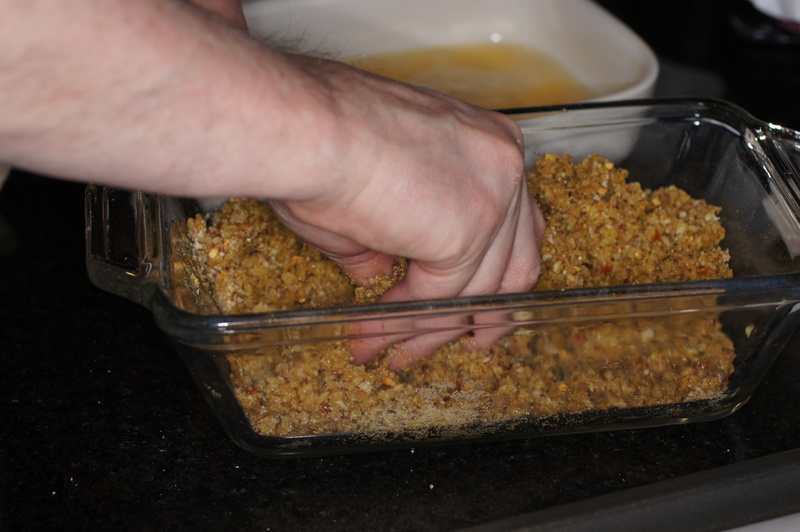 then the breadcrumbs, pressing in the crumbs to make sure they adhere. 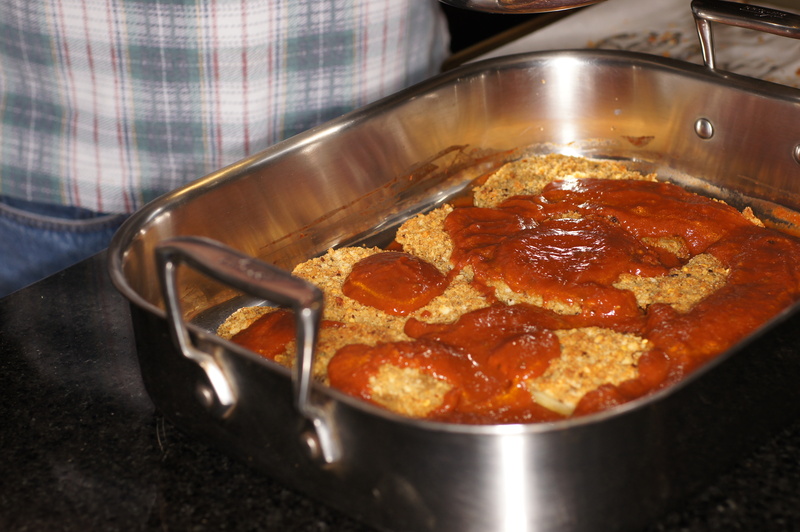 Lay the eggplant slices on parchment lined sheet pans, without touching. Repeat the process with the zucchini. Bake eggplant, rotating the sheet pans halfway through baking, until cooked through and crumbs are crisp and golden, about 25 minutes. Let cool slightly. 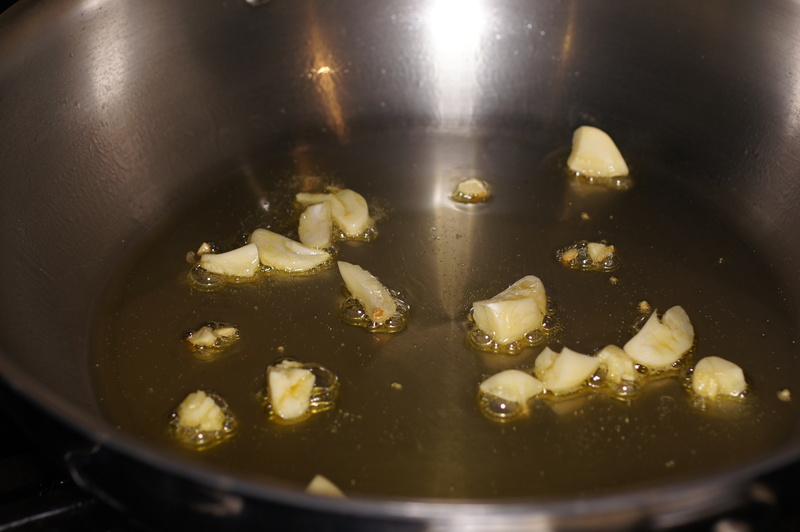 Meanwhile, in a large skillet, heat remaining 2 tablespoons olive oil over medium-high heat. Add smashed garlic and sauté until just golden, about 1 to 2 minutes. Add the spinach with any water clinging to the leaves, season with remaining ½ teaspoon salt, cover and cook until wilted, about 3 to 4 minutes. 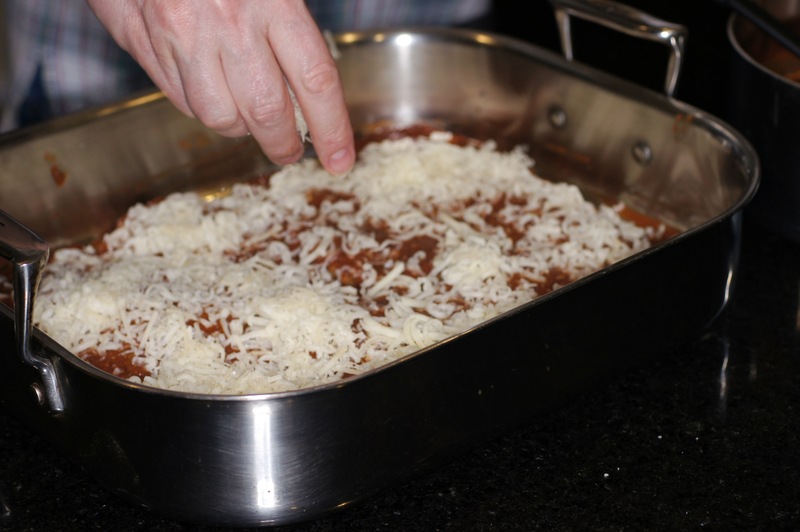 Check occasionally to make sure the bottom of the pan is not dry, adding water a tablespoon at a time if necessary. 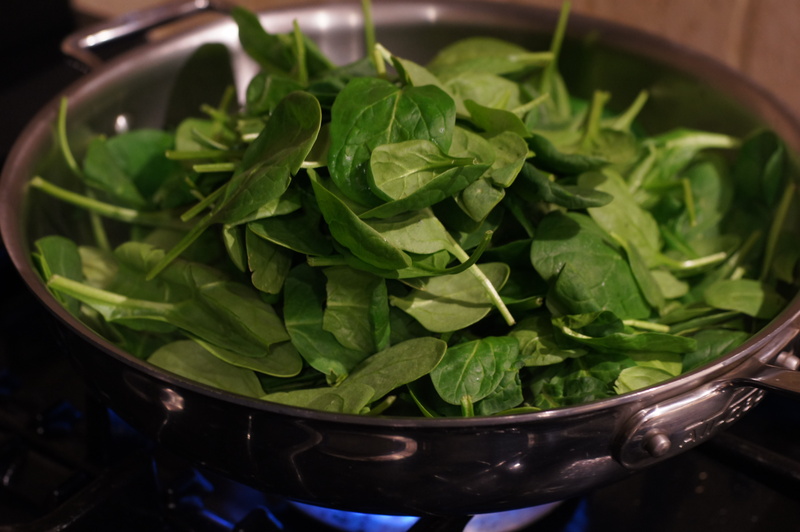 Once the spinach is wilted, uncover and cook until spinach is tender and excess water is gone, about 4 minutes. Layer the baked eggplant, in an even layer. Spread with enough marinara/tomato sauce to cover with a thin layer. Sprinkle with parmesan and the shredded mozzarella. 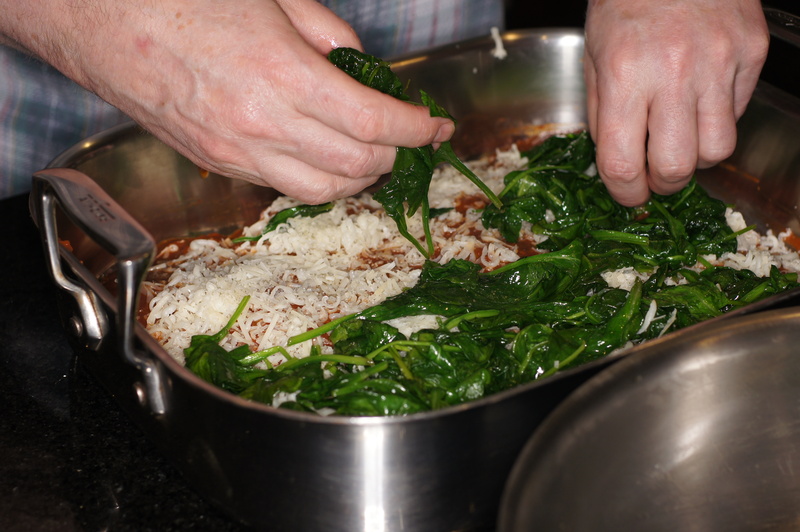 Spread all of the spinach in one layer. 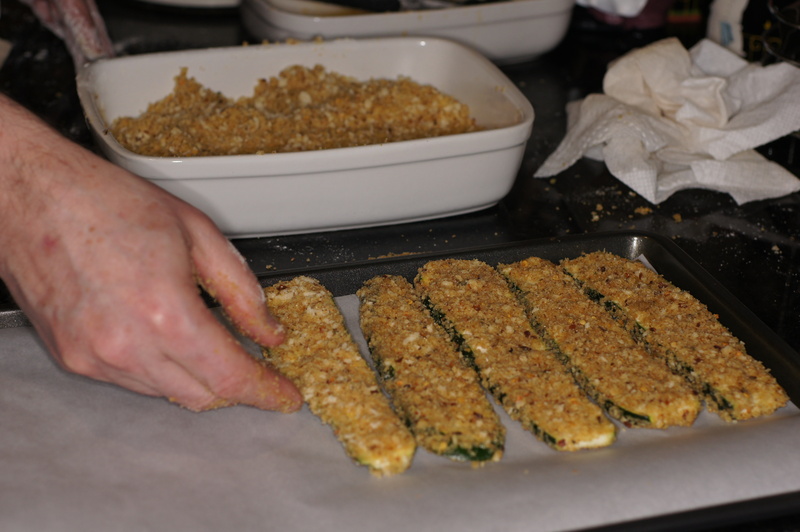 Now, add the baked zucchini. Spread with more marinara/tomato sauce to cover. Top with an even layer of the remaining eggplant. 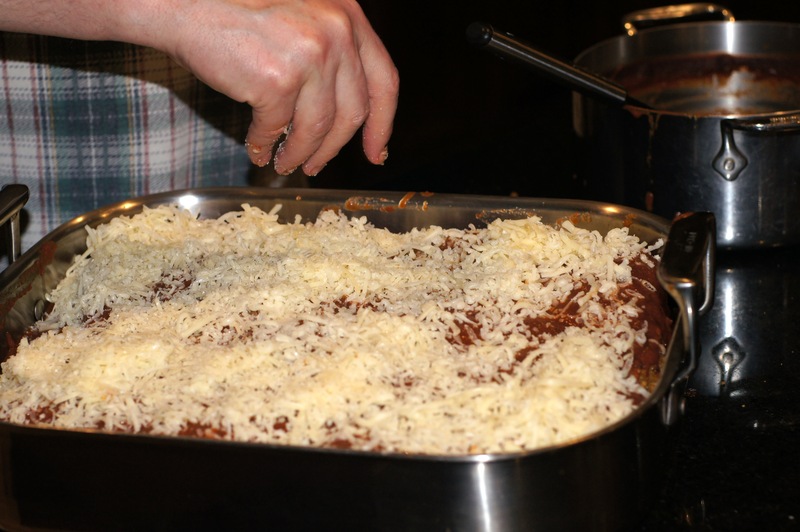 Spread remaining sauce on top and sprinkle with remaining grated Grana Padano. 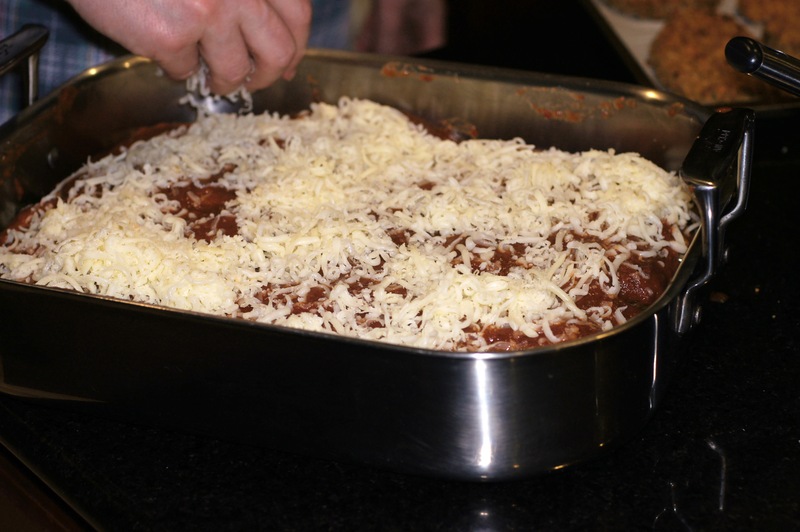 Tent the baking dish with foil, so it is not touching the cheese and bake until bubbly, about 30 minutes. 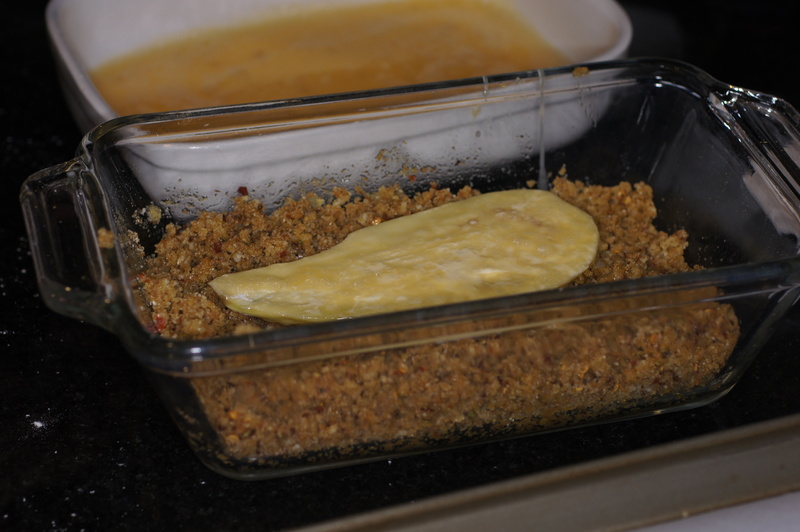 Uncover and bake until cheese is browned and crusty and sauce is bubbling all over, another 15 minutes. Let cool and set 5 to 10 minutes before cutting. This looks fabulous!!! Love it! I, too, bake my eggplant — and chicken — before assembling my parmigiana but have never thought to add zucchini to the dish. I very much like the idea. I bet it adds a nice flavor to the dish. Thanks for the idea. 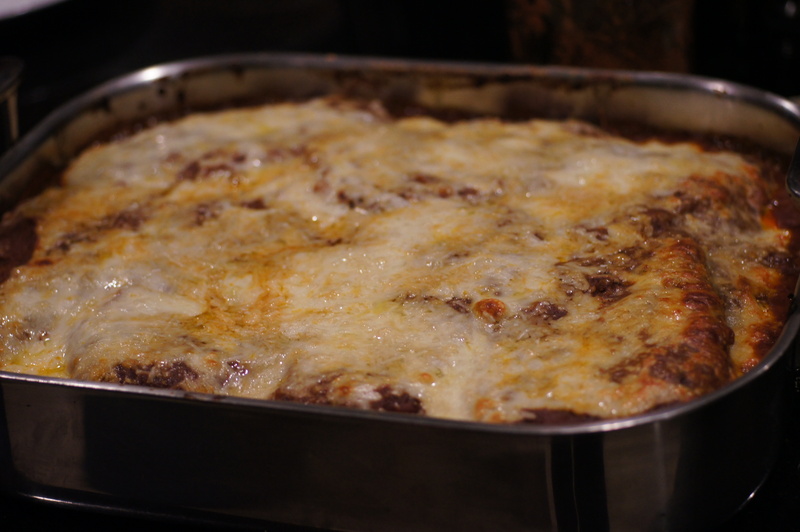 Looks like a great version of melanzane alla parmigiana! Also great with the zucchini substituted with veal cutlets. I’ll have to post my version soon as it is quite different. Thanks, Stefan. I look forward to reading your post. 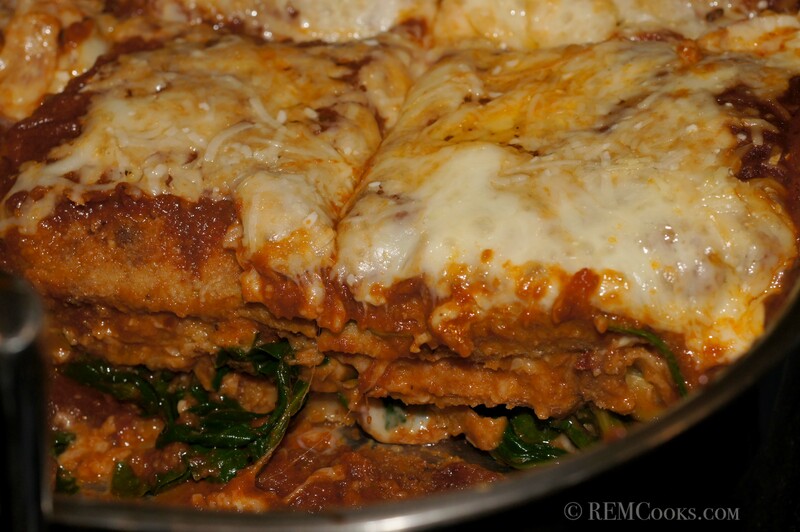 I’ve made it with eggplant, and I’ve made it with spinach, but making it with BOTH is sheer genius! I will definitely try this! Thanks, Peggy. It was quite delicious. If you’re looking for a low carb version, grill the veggies instead of breading and baking them. I can DO that. 🙂 Thanks for that suggestion. Thanks, Linda. 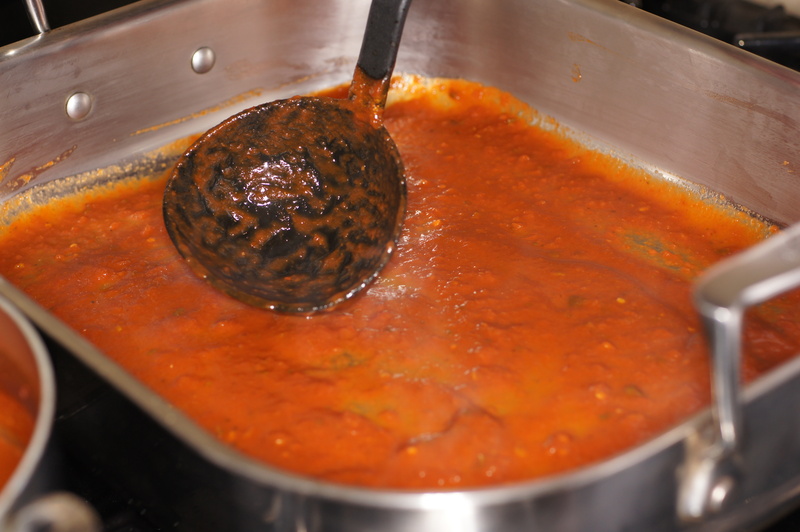 I have now posted the recipe for the sauce. 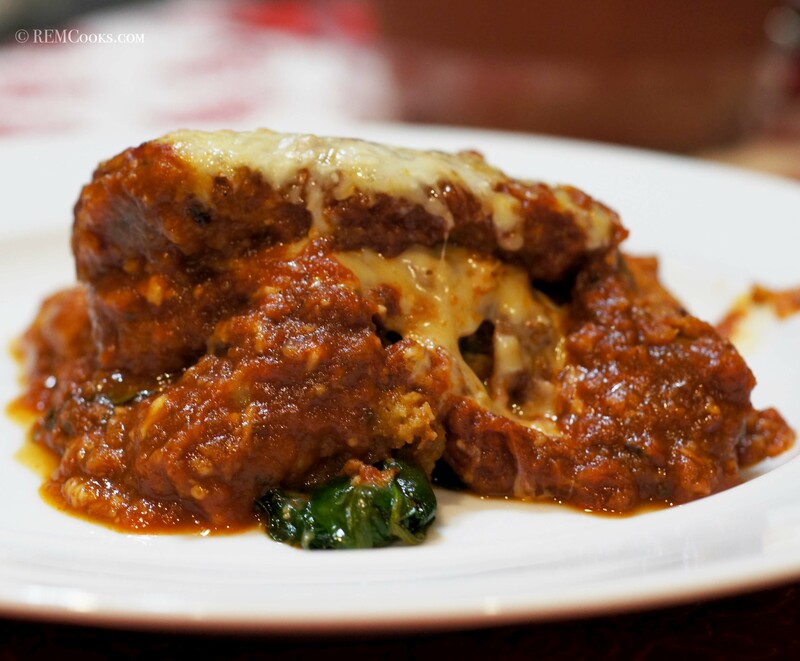 This eggplant parmigiana is really full of vegetable goodness. Huge hit last night! Every morsel devoured! Everyone left happy with smiles on their faces…. 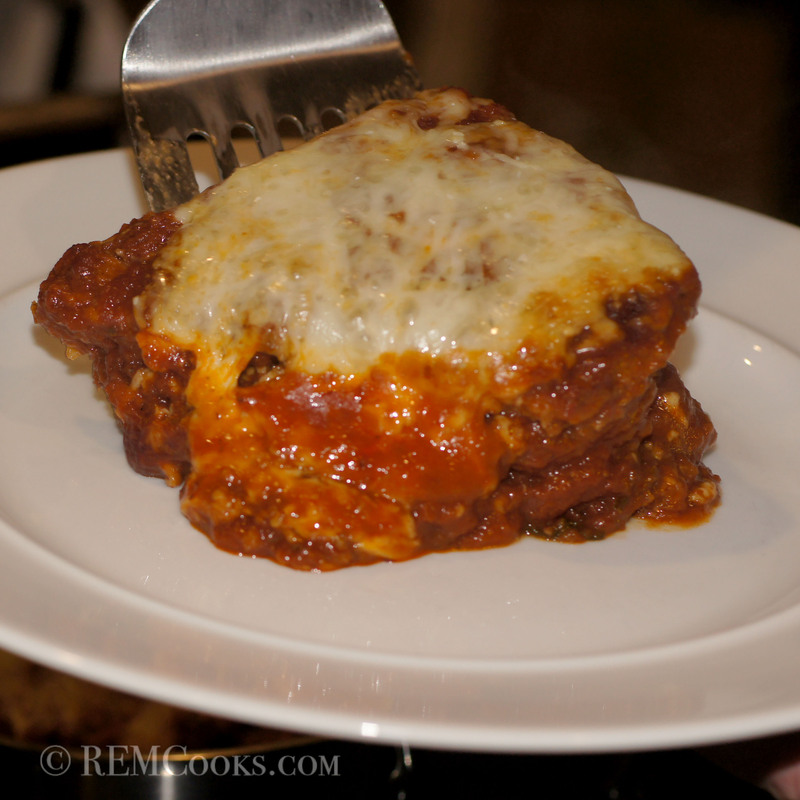 wishing there were leftovers… next time (and I’ll make the sauce correctly)! Hi, Linda. We’re glad it was a success. We really liked the breading. I have “faux fried” things before and have never really cared for the breading. 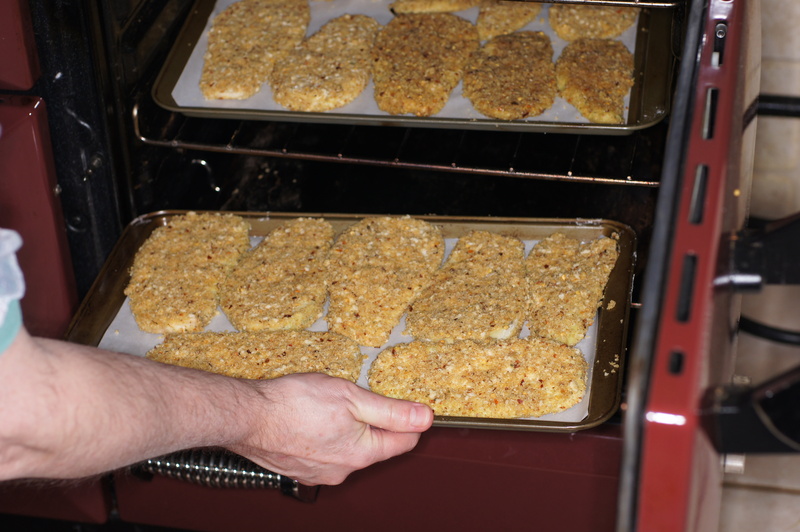 This method of breading with the addition of the oil in the breadcrumb mixture made the breading adhere to the veggies. We had leftovers for a week and it still held up. It’s a real winner as far as we are concerned. Your best pic on the site! Congrats. Totally want to stuff my face with this. And a good caesar! You have a recipe? Thanks Liza. Glad you like it and the photo. It really was great and I was totally surprised by the baked crust. It lasted the week as we gladly ate the leftovers. You are so right! It’s a weekend project and well worth the effort. It’s 4:00 AM and I’m headed for bed after putting this bit of heaven together for company. It’s going to be part of a late brunch and one that was requested by our guests. This is the second time we’ll serve this amazing dish and both times, I followed the recipe to the letter — even using the linked red wine marinara sauce that couldn’t have been easier. Thank you for the step by step photos and for inspiring me to do something special and a tad out of my comfort zone. Love it! Thanks, Heather. We’re glad you liked our take on Lidia’s recipe. We think Lidia rocks!!!! Baby Lady’s favorite restaurant in the entire world (we’ve eaten at a few) is Felidia’s in NYC (her flagship restaurant.). It’s why we watch her show. 🙂 If you ever get a chance to go there, do it! You will love it. 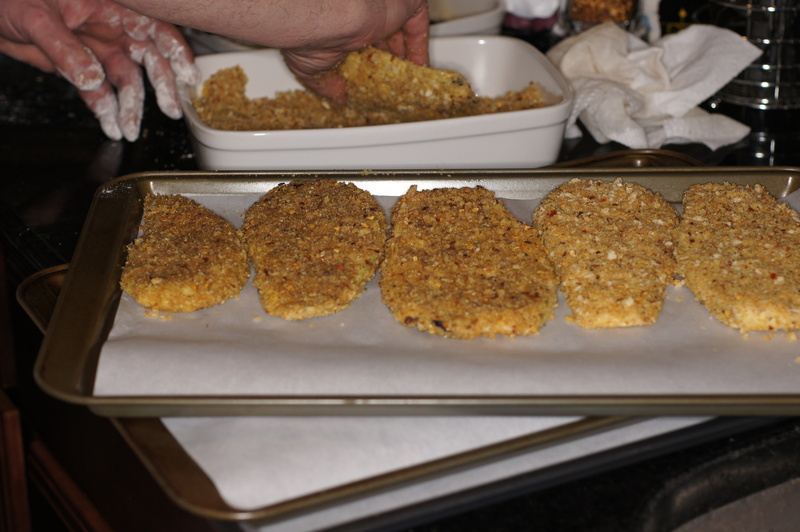 Panko is a Japanese style breadcrumb traditionally used as a coating for deep fried foods. 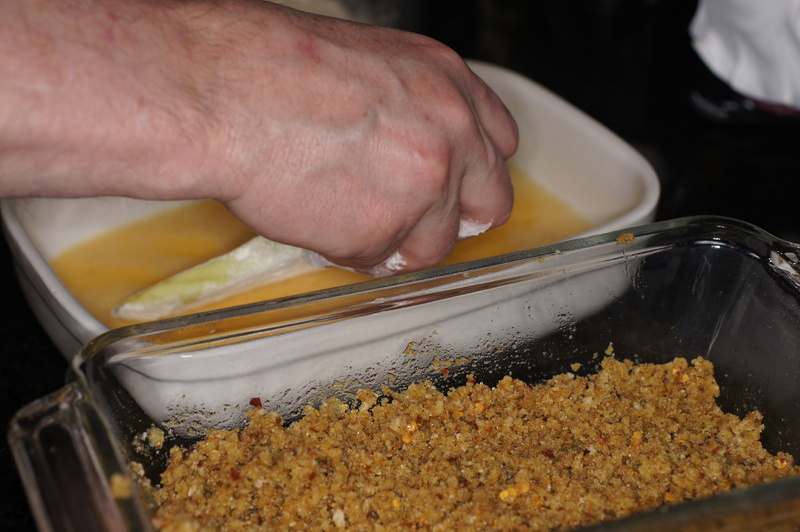 It is coarser and lighter than typical breadcrumbs which creates a beautifully delicious, crunchy crust. You can get a crunchy crust even when baked as in this recipe which is why we like it. It has become very popular and are quite versatile. 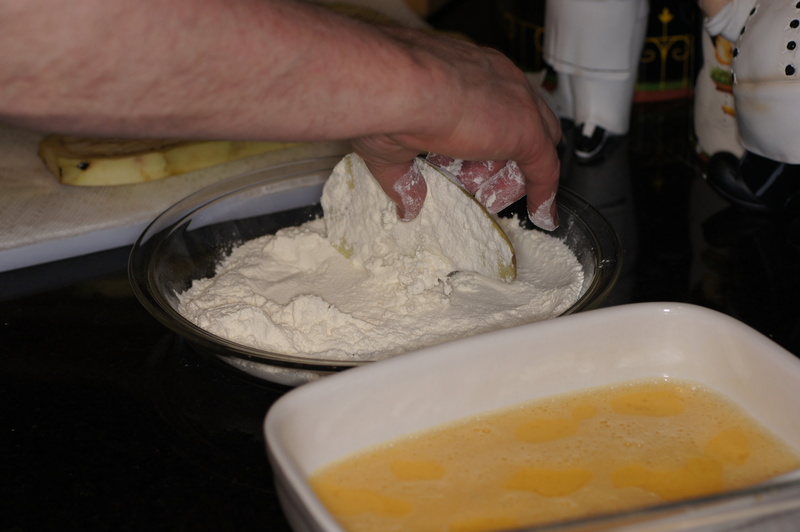 In addition to frying, it can be used to add texture and depth to mac and cheese, and gratins. 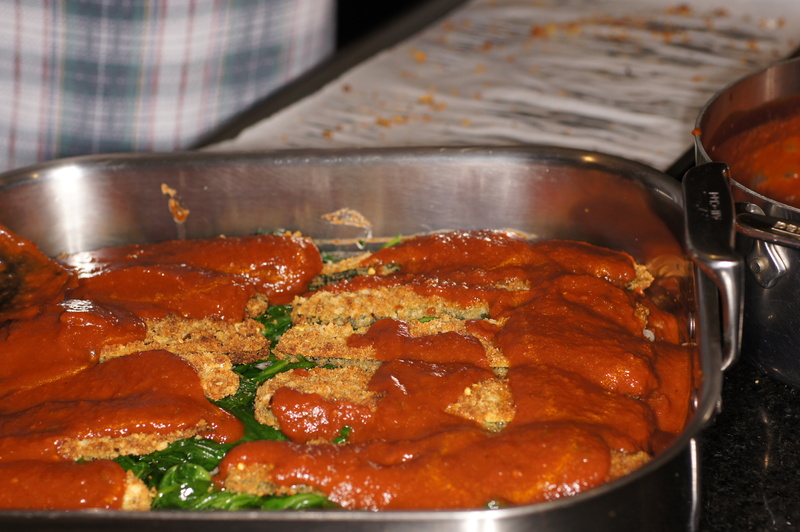 It can also give body to stuffed artichokes and even used as toppings for a variety of things including roasted, stuffed tomatoes. It is pretty much available everywhere in DFW but you can always find it at an Asian market. 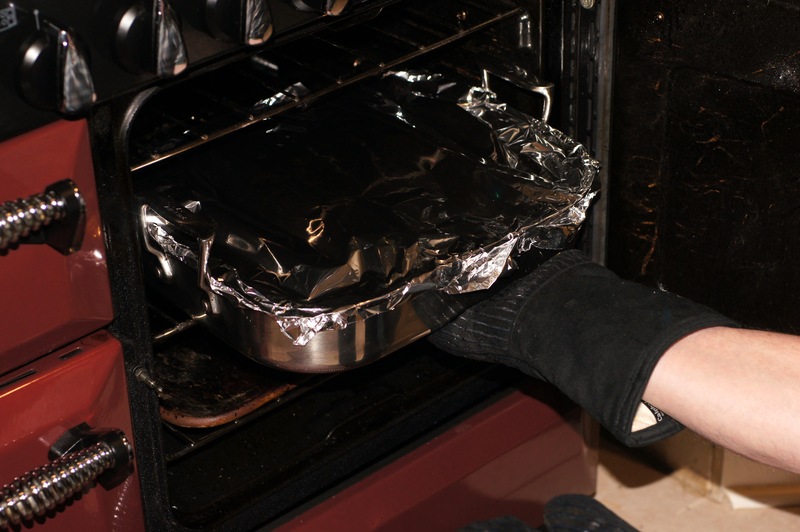 Can it be prepared the day before and cooked the next day?